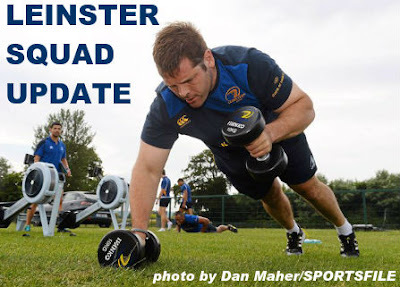 After training in UCD this afternoon Leinster Rugby Head Coach Leo Cullen has reported a clean bill of health ahead of the visit of the Dragons to the RDS this Saturday in the Guinness PRO12 (kick off: 2.30pm - live on TG4). The only players ruled out are long term absentees Ed Byrne and Mick Kearney but both Rhys Ruddock and Marty Moore have trained this week as normal and are available for selection. Also available for selection is Tom Denton who has come through the return to play protocols having been withdrawn from the Round 1, Edinburgh game with a head injury. 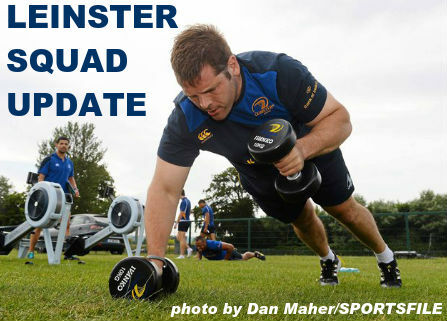 The Leinster Rugby team will be announced on Friday. Leinster Rugby have announced that ticket sales for the Champions Cup game against Toulon on the 19th December in the Aviva Stadium have gone past the 25,000 mark. Tickets went on public sale last Thursday morning at 10.00am and the 11,894 Season Ticket Holders could purchase tickets in advance of this launch during a special week long window. Leinster Rugby also ran a number of special promotions and 1,500 €10 tickets were sold during the opening hour of sales, while a limited number of €20 promotional tickets still remain on sale through leinsterrugby.ie.